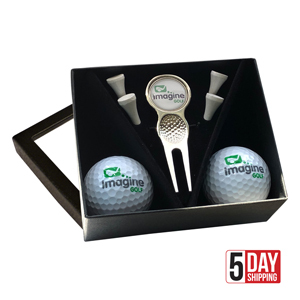 Card window box containing one Kensington fork, two Forbes stud markers and two Wilson Ultra golf balls all printed to your design. Dimensions : 120mm x 100mm x 47mm. Golf balls : 24mm diameter. Other golf balls available upon request.